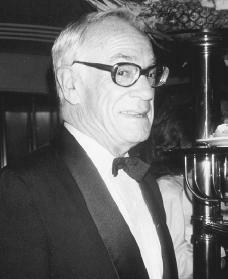 Millionaire Malcolm Forbes was the publisher of Forbes magazine from 1957 to 1990. He was a man known for his business sense and his lavish lifestyle. Malcolm Stevenson Forbes was born on August 19, 1919, in Brooklyn, New York, to B. C. (Bertie) Forbes and Adelaide Stevenson Forbes. He was one of five children who grew up in an upper-middle-class family in Englewood, New Jersey. His interest in publications developed early as he wrote and printed a household newspaper when he was eight years old. At the age of thirteen he obtained his first printing press and by the age of fifteen he had published papers for his household, the scouts, and school. He would spend time in the summers working at the Forbes magazine offices, which his father founded. He attended the private schools in Tarrytown, New York, and graduated with honors from Lawrenceville School, in New Jersey, in 1937. He continued his education at Princeton University, where he majored in political science. A savvy businessman by all accounts, Forbes inherited his wealth from his father who established him at the Fairfield Times newspaper as owner and publisher only days after his graduation from Princeton. As he was fond of saying, he was loaded with "sheer ability, spelled i-n-h-e-r-i-t-a-n-c-e," as quoted in Forbes. He went on to publish the Lancaster Tribune in 1942, and four years later, after a stint in the army on the European front of World War II (1939–45; a war in which England, China, the Soviet Union, and from 1941 the United States, fought against and defeated the forces of Germany, Italy, and Japan) he joined the staff at Forbes magazine. He was first an associate publisher, then publisher, editor, editor in chief, vice president, and, finally, president. As a politician, Forbes was less than successful; he said that he was "nosed out by a landslide" in a New Jersey race for governor in 1957. Forbes did not like to put an actual figure on his income and holdings, though he published practically everybody else's value. Early in 1990, the New York Post estimated Forbes's holdings by totaling up his collections, houses, and publications, but as Time magazine reported it, the estimates were generous; "Malcolm is a billionaire, but only if you swallow an estimate of $65 million for his flagship magazine's annual profits." People magazine listed eight houses, a palace in Tangier, Morocco, a chateau in Normandy, France, and the island of Lauthala in Fiji as his dwellings. Forbes is characterized as a man who loved the spotlight, who shamelessly enjoyed the privileges his money afforded him, and who was always in pursuit of adventure. Forbes was a balloonist, a motorcyclist, and a sailor who took many trips on his huge yacht, the Highlander. He collected anything precious and beautiful—most famously, Faberge eggs. Forbes was married for thirty-nine years to Roberta Remsen Laidlaw before their divorce in 1985. The couple had five children: Malcolm S. Jr., Robert Laidlaw, Christopher Charles, Timothy Carter, and Moira Hamilton. Malcolm S. Jr., known as Steve, ran for president in 1996. Although not an obvious charitable contributor, Forbes did give millions of dollars each year to charities. He had been at a charity bridge tournament the day he died of a heart attack on February 24, 1990. "Malcolm Forbes was a giant of American business," said then-President George Bush (1924–), as quoted in Forbes: "His success in publishing reflected the tremendous vitality of our nation and served to inform and inspire a generation of successful business leaders. He was greatly admired and will be greatly missed." Former president Ronald Reagan offered a similar tribute: "Malcolm was truly a dear friend and we will miss him sorely. We hold our memories of him close to our hearts and are thankful to have known him." Forbes, Malcolm S., and Jeff Bloch. They Went That-A-Way. New York: Simon and Schuster, 1988. Winans, Christopher. Malcolm Forbes: The Man Who Had Everything. New York: St. Martin's Press, 1990.